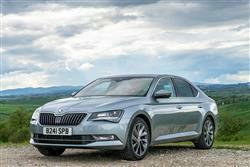 The Superb has long been the standard-bearer for Skoda's model line-up but it gains a fresh lease of life in this more sophisticated third generation guise. This version's still as class-leadingly spacious as its predecessors but now manages to match that practicality with smart, contemporary styling for both Hatch and Estate bodystyles. It's more sophisticated under the skin too, with lighter, stiffer underpinnings that have improved driving dynamics and efficiency, while also allowing for the fitment of extra hi-tech driving aids. 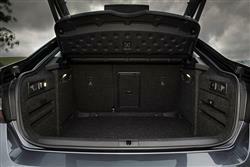 The result is a very complete package, especially in volume 2.0 TDI 150PS form. 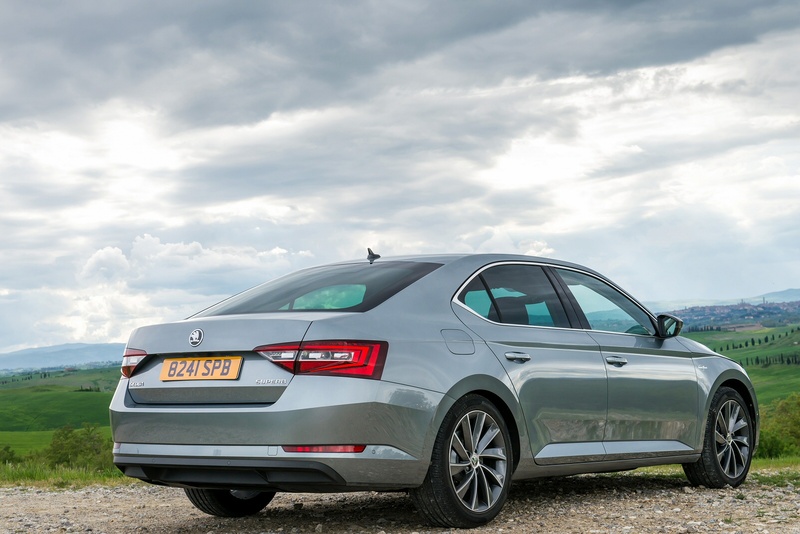 When it came to this third generation model Superb line-up, it simply wasn't going to be enough for Skoda to once more bring us something big, sensible and decently priced. This car needed a more dynamic feel, a dose of technology and, most of all, a sense of style. In short, it needed to justify its name. On paper at least - and at first glance - this MK3 version, launched here in the Summer of 2015, appears ready to offer all of these things. Though even more practical than before, it's now fashionably distinctive too. Plus installation of the Volkswagen Group's lighter and more advanced MQB platform has opened up for buyers the potential for sharper responses, as well as a whole raft of up-to-the-minute technology and greater levels of efficiency from engines like the volume 2.0 TDI 150PS diesel unit on test here. It all sounds quite promising doesn't it? Time to put this car to the test. On the move, as ever in a Superb, the ride and refinement are exemplary. What's changed here though is this car's dynamic demeanour. Thanks to the adoption of the Volkswagen Group's lighter, stiffer MQB chassis, the car feels far more agile through bends you'll be able to attack with a little more gusto thanks to sharper steering and a standard XDS+ Electronic Differential Lock that reduces understeer and improves stability as you turn. Under the bonnet, most customers will want a TDI diesel: possibly the entry-level 1.6-litre 120PS unit but more likely the 2.0-litre TDI powerplant I tried in volume 150PS guise. This is an engine capable of making 62mph from rest in 8.8s on the way to 137mph but if you do want to go faster, then there's a 190PS version of it on offer that improves those figures to 8.0s and 147mph. Both these 2.0-litre TDI variants are offered with the extra-cost option of 4WD. The system in question is a further refined fifth generation version of the previous model's efficient Haldex clutch set-up. This keeps the car front driven until the first signs of slip, at which point torque is seamlessly transferred towards the rear. You'll thank your lucky stars for it in the next winter snap. Who needs an SUV anyway? This third generation Superb is a larger car than its predecessor, but that's not the perspective you get from first glance. Somehow here, this Skoda looks more compact and agile than its predecessor and the previous model's boxy, forgettable shape has developed into a stylish silhouette that Chief Designer Jozef Kaban and his team evolved from their dynamic 'VisionC' concept car. Clean-cut lines, smoothly shaped surfaces and sharp edges have been integrated to create one of the most striking and elegant designs in the sector. It's quite a turnaround. After the bold exterior, the interior feels a bit safe in its aesthetics, but there can be few complaints about either quality or space. At 4,861mm long and 1,864mm wide, the third generation Superb is 28mm longer and 47mm wider than its predecessor, while the 2,841mm wheelbase is 80mm longer, allowing for greater space within the passenger compartment. Rear legroom is frankly ridiculous. It's vast in the back. The boot is 30-litres larger than before, at 625-litres, expanding to a cavernous 1,760-litres with the rear seat backs folded. If this still isn't big enough, you'll need to talk to your dealer about the Estate version which offers a 660-litre boot that can be extended to 1,950-litres on demand. Superb models start at well under £20,000 but to get his 2.0 TDI variant, you'll need just over £22,000. That's for the 150PS version, which offers the further £1,500 option of 4WD if you want it. You'll need over £27,000 for the 190PS derivative of this engine as you have to have it with plusher trim. Over 60% of customers in this country prefer the Estate bodystyle that's offered at a £1,200 model-for-model premium over this equivalent Hatch version. DSG automatic transmission is also a popular option, suiting as it does the character of this Skoda and offered at a £1,400 premium on most models. All 2.0 TDI models get 17-inch alloy wheels, dual-zone climate control, power-folding mirrors, rain-sensing wipers, rear parking sensors, Adaptive Cruise Control and cornering front foglights. There's also a quality infotainment set-up with a large 6.5-inch touchscreen, a set-up that gives you access to the latest 'Apple CarPlay' and 'Android Auto' 'Mirrorlink' systems. These allow full reflected smartphone functionality - so you can enjoy things like Spotify, maps, podcasts and online radio in-car, all of it beamed through the infotainment display. Finally we should mention that almost unique Superb touch: an umbrella built into the door. This time round, you get two of them, secreted away in their own front door compartments. Skoda has forged its modern-day reputation on building quality cars that aren't expensive to run. Here's another one. The new-generation MQB platform it's based upon makes this car up to 75kg - about the weight of an average adult - lighter than it was before and that, along with the Volkswagen Group's latest Euro6 engine technology, has led to improvements of up to 20% when it comes to efficiency. As a result, this Superb shouldn't really cost much more than its smaller Octavia stablemate to run. As before, there's an 'Energy Recovery' set-up to reclaim energy that would otherwise be lost under braking or during cruising. And the usual Start/stop system to cut the engine when you don't need it, stuck at the lights or waiting in traffic. Plus the driver can do his or her bit by keeping an eye on the gearshift indicator on the dash. All these things of course aid the returns you'll get from the 2.0-litre TDI diesel that most customers choose. Whichever guise you select it in - 150 or 190PS - a manual variant will manage 68.9mpg and around 108g/km of CO2. If you�re looking for a new SKODA Superb 2.0 TDI CR 190 SE L Executive 5dr DSG [7 Speed] Diesel Estate for sale, you�ve come to the right place. 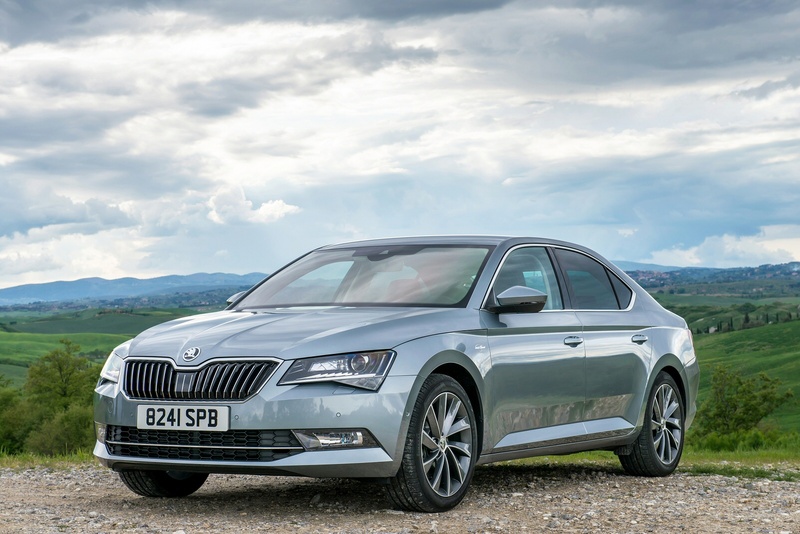 At Bristol Street Motors we don�t just have the best SKODA Superb 2.0 TDI CR 190 SE L Executive 5dr DSG [7 Speed] Diesel Estate deals, we also offer friendly advice and help with all your enquiries to ensure your buying experience is a happy experience.